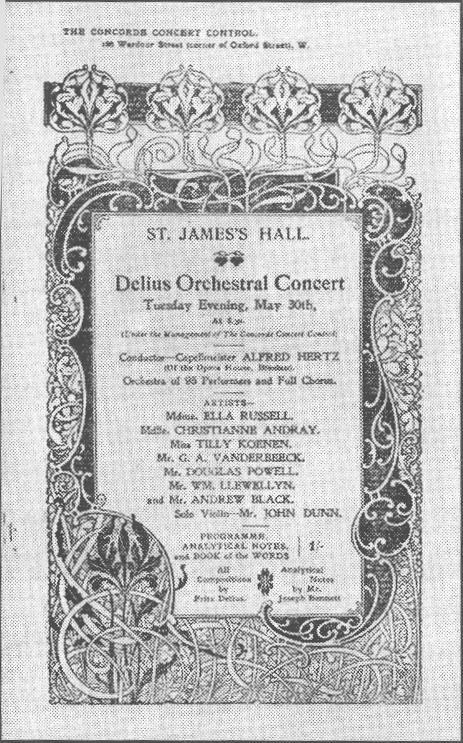 An historic concert took place on May 30, 1899 in St. James Hall in London. 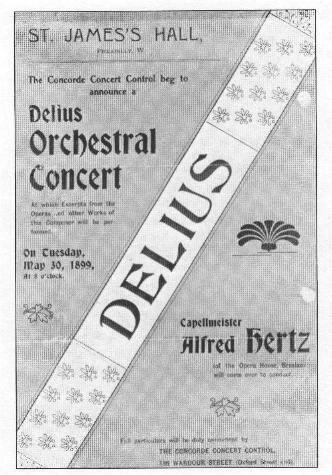 Frederick Delius organized this concert to introduce his works to the musical public in his native England, and also to "give them a listen" himself. 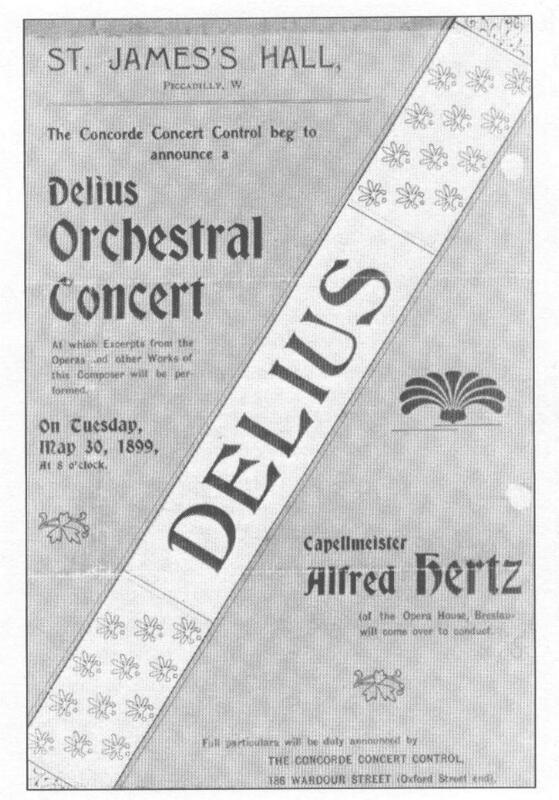 The Queen's Hall Orchestra was conducted by Alfred Hertz of the Elberfeld Opera. The programme was designed to be representative of the composer's achievement up to that date. The bill of fare by today's reckoning was of formidable dimensions. You can re-create that long-ago evening of musical magic by gathering together recordings of the works and playing them in sequence. Almost all the works have been recorded, although some recordings are now out of print. 5. Symphonic poem for orchestra, The Dance Goes On. 6. Mitternachtslied from Nietzsche's Zarathustra for baritone solo, men's chorus, and orchestra. Excerpts from Koanga (Opera in 3 acts with a prologue and epilogue).